TNCS K/1st Classes Get to the Core of Apple-Harvesting! A trend in U.S. schools in the last few decades has been to reduce the number of field trips outside of school. Whether because this brief “truancy” from school prevents educators from attaining their stringent in-class goals or because such trips are treated as rewards for good behavior (in which case, the trip is more likely to be escapist than educational), the original purpose of field trips seems to have been largely obscured. 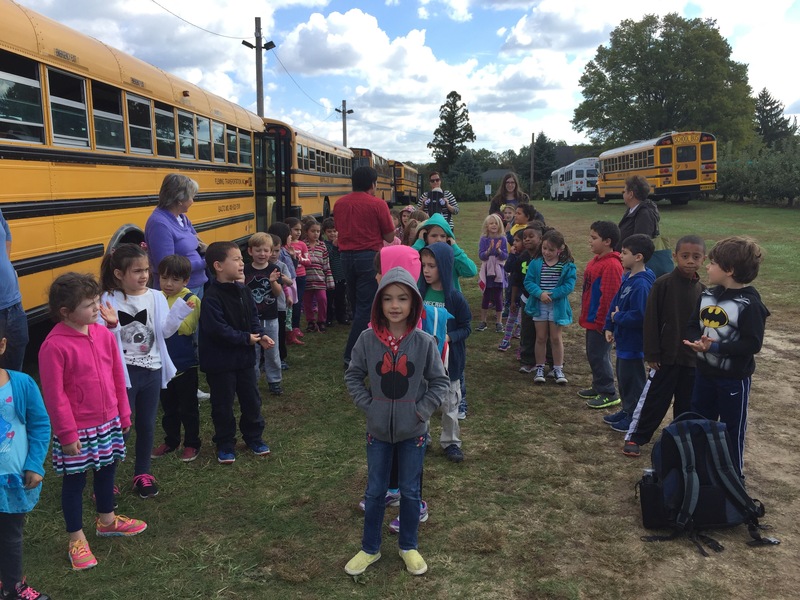 Last week, all three Kindergarten/First-Grade classes traveled to Milburn Orchards in Elkton, MD to learn about apple harvesting. Milburn Orchards was an appropriate destination for TNCS students for many reasons: they have been family owned and operated since 1902, they are committed to sustainable and environmentally friendly farming practices, and they offer local produce—something that TNCS’s Garden Tuck Shop values highly. Although the kids enjoyed the interactive activities and being outdoors on a gorgeous fall day, the trip was bursting with educational opportunities, from history to agriculture to engineering, so they learned bushels while having fun! So load up the old yellow school bus kids, field trips at TNCS are here to stay! This entry was posted in Art Education, Early Childhood Education, Elementary Education and tagged Milburn Orchards, school field trips, The New Century School, TNCS, value of field trips. Bookmark the permalink.